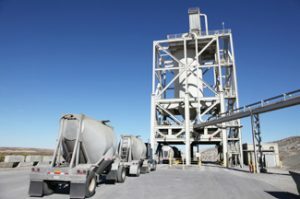 Steele Solutions designs and fabricates steel structures that support equipment used in cement plants, concrete batch plants, asphalt plants and aggregate operations. Hot-dipped galvanizing of the steel used in these support structures is available. We also offer catwalks, stair towers and other steel structures and platforms used in industrial operations throughout the U.S. and abroad. Steele Solutions is known for its engineering excellence, its knowledge and understanding of its customers’ processes, and its customer-focused approach to business. We design to IBC standards and for all seismic zones, and are a City of Los Angeles licensed fabricator. Read more about our engineering excellence. We are members of the National Stone, Sand & Gravel Association. As a single-source supplier, our pricing includes engineering and fabrication of support structures for equipment. Our customers rely on us for “cradle to grave” handling of the most basic to extremely complex vertical steel structure needs – all designed to integrate precisely with your specific equipment.